Many of must have seen the hollywood movie, Twilight. This movie series became world wide famous. The name of the movies are 'Twilight', 'Twilight new moon', 'Twilight Ecilipse', 'Twilight breaking dawn Part -1 ', 'Twilight breaking dawn Part-2 '. All the movies were super hit on the box office. 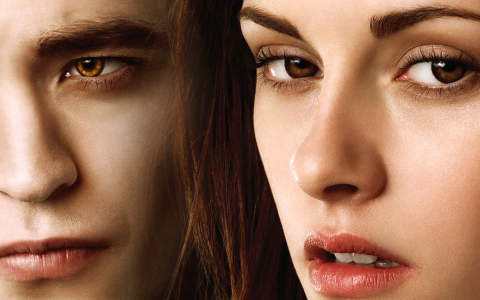 Through these movies, the lead actors and actress, Robert Pattinson and Kristen Stewart became world wide famous with the characters of Edward Cullen and Isabella. In the movies, Robert played a roll of vampire and Kristen played the roll of a brave girl Isabella. The movie is all about the love story of a vampire with a girl. All the four movies were based on their love and the fight between the vampires and wolfs. The stars Robert and Kristen gain a lot of popularity with their on screen chemistry. With the release of first movie of Twilight series, the news about their dating went viral. They gained a lot of attention with this relationship. But this relationship did not survive for a long time. They broke up soon with each other. After breakup Robert said that he feels more fresh. Kristen gave the statement that after breakup she is feeling so free and alive. Kristen and Robert were very good friends and their understanding was outstanding. Every one was thinking that they would marry soon but the whole story changed. The wall of hate was so big that they could not take the high jump of trust and decided to get separated from each other . After break up, it was so hard for Kristen to face Robert during the suet. But the work is work. Anyhow she completed the series but soon during the making of Twilight break dawn Part 2, they both again came near. However, whenever asked they said there is nothing between them. According to them, these are just rumors and they will are never get back together.